Where Shahbaz Bhatti leading us now? A few times in the last month I've mentioned the the tragic death of a brother in the Lord, Shahbaz Bhatti, a Catholic in Pakistan, a voice against oppression. His death should signal for us that religious freedom is not operative around the world as well as out-and-out persecution of Christians is a too frequent occurrence. Just read the end of the year stats on the deaths of people just because they are Christian published by the Vatican office of Evangelization of Peoples. We can't under-estimate the our brothers and sisters in other parts of the world face just because they utter Jesus' name as Lord and Savior: they face death and oppression daily. In a recently published essay, "The Assassination of Shahbaz Bhatti, Jesuit Father Luciano Larivera, explores the details of a Christian's murder by Islamic extremists. He writes in his summary, "On March 2, a commando of an Islamic terrorist group assassinated Shahbaz Bhatti, 42, the minister of Religious Minorities in Pakistan. He was a Catholic, and is already considered a martyr for the faith and interreligious dialogue. Let us quote the spiritual testament. As with the governor of the province of the Punjab, Salmaan Taseer, who was killed Jan. 4, Bhatti had fought for the abolition, or at least for the reform, of the law against blasphemy and the liberation of Asia Bibi, who was sentenced to be hung for insulting Muhammad. Pakistan is torn apart by numerous tensions and an internal power struggle. Religious violence and intimidation have weakened the Government's action. The country needs the restoration of an effective criminal justice system, which also prevents and sanctions crimes against religious minorities. La Civiltà Cattolica (3859, 2011, II, pp. 81-90) carries the essay. The UK's Guardian carried this obit for Shahbaz Bhatti. Some people are suggesting that the Catholic bishops of Pakistan may petition the Pope to say that the recently murdered Shahbaz Bhatti is a martyr. More will be known on or after the March 25th meeting of the bishops. Bhatti was gunned down on Marc in Islamabad. Pakistan has about 2.5 Christians. Bishop Andrew Francis of Multan: "Bhatti is a man who gave his life for his crystalline faith in Jesus Christ. It is up to us, the bishops, to tell his story and experience to the church in Rome, to call for official recognition of his martyrdom." Archbishop Lawrence Saldanha of Lahore and president of the Conference of Bishops said: "The murder of Shahbaz Bhatti means that we have lost a great leader of our community who stood up for us and articulated the concerns and fears of our people. We do not have a leader now. Our people are quite down. They are fearful of the future." In the meantime, Paul Bhatti, MD, has been appointed by Pakistan's Prime Minister to work with minorities, the same job his brother had. 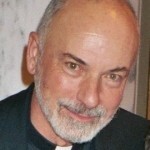 The truth is coming out...slowly, that is, about Fr John Corapi's case. An angry former employee of Fr Corapi's publishing house wanted to take-down her former employers, including Corapi. The problem remains: the process of investigation for such cases is wrong and insufficient when false accusations are made. What will the Bishop of Corpus Christi do to restore the good name of Fr John Corapi? Will he be working to restore Corapi's good name and income if and when the case is closed (and in favor of Corapi)? Doubtful. Bishops rarely admit they are wrong. Read the statement here. Thank for honest people! Per usual, beg the Holy Spirit for guidance and a quick resolution to this case. Fr Corapi's life hangs in the balance and a matter of justice relevant info should be known. Pat Archbold from the NC Register has this update. Two things that need to be considered: we ought to be careful about making the man a saint before his time even if he's made a change of life and done an excellent job in teaching the faith; it is possible that he's fallen off the wagon. People with addictions do relapse. Archbishop Claudio Maria Celli, president of the Pontifical Council for Social Communications, has urged Catholics to evangelize the "digital culture." He made his remarks on March 18. A common theme spoken of in recent weeks from various Vatican officials, including Pope Benedict. Celli's office has been working overtime in recent weeks in tackling media in its various forms. And one must remember that it has taken aliong time to get where we are today, thanks in part to the good work of many laity, lower clergy and a Franciscan Sister of the Eucahrist Sister Judith Zoebelein. The Vatican has been on the web since 1995. Archbishop Celle told L'Osservatore Romano in a March 17 interview that after Easter, the Holy See will launch a new news website that will gather all the Vatican media services into one portal in English, French and Italian with the hope to offer its media services in additional languages. Continue reading Claudio Celli advicates for greater use of social media. The sad news of Fr Corapi being placed on administrative leave is making the rounds. His own testimony of the facts is noted here. Let us pray that Saint Joseph will intercede before his son and our redeemer, Jesus Christ, for a quick resolution. Justice delayed is justice denied. Last week's murder of Pakistani Catholic Shahbaz Bhatti, 43, was remembered by Pope Benedict. 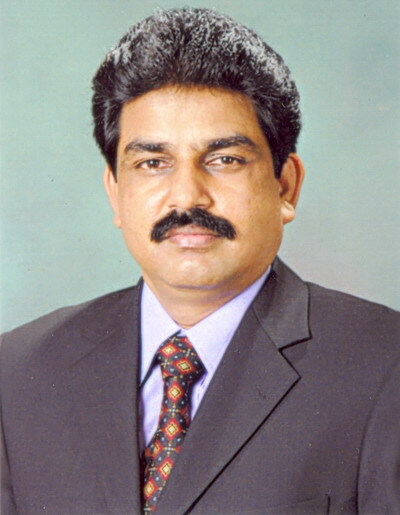 Bhatti was the Minister for Minorities in Pakistani government. Mr. Bhatti leaves behind his Mother, 4 brothers and a sister; his father died in January. He was not married. Shahbaz Bhatti said "I want to send a message of hope to the people living a life of disappointment, disillusionment and despair. Jesus is the nucleus of my life and I want to be his true follower through my actions by sharing the love of God with the poor, oppressed, victimized, needy and suffering people of Pakistan." Rome Reports' news story of the Pope's recent remarks is here. Sara Angle's CNS story speaks of Bhatti as being a martyr. Yesterday, Pakistani Christians --indeed, the world-- lost a voice of reason and hope in the heinous, tragic death of Shahbaz Bhatti. He was the minister for minorities for the Pakistan government. Let us pray for the peaceful repose of Shahbaz Bhatti, his mother and siblings. We'd do well to pray for the Church in Pakistan! This page is a archive of entries in the Faith & the Public Order category from March 2011. Faith & the Public Order: February 2011 is the previous archive. Faith & the Public Order: May 2011 is the next archive.